Marc Hannaford is a PhD candidate in music theory at Columbia University in New York. His dissertation research focuses on composer, improviser, pianist, and co-founder of the Association for the Advancement of Creative Musicians (AACM), Muhal Richard Abrams. In addition Marc’s interests include 20th century music, improvisation (in both musical and non-musical domains), critical identity studies, and rhythm and meter. He is also deeply interested in the various intersections between music theory and analysis, on the one hand, and performance, on the other. He published Subjective (Re)positioning in Musical Improvisation: Analyzing the Work of Five Female Improvisers in Music Theory Online Vol. 23, No. 2, and The Challenge of Comparing Improvisation Across Domains in The American Music Review Vol. XLV, No. 2, Spring 2016 (co-authored with Andrew Goldman). Marc has presented work at a number of national and international conferences, included those facilitated by the Society for Music Theory, the New England Conference of Music Theorists, Rhythm Changes, and the Society for American Music. He has also given invited talks at Yale University, Brooklyn Conservatory, William Patterson University, and Melbourne University. Also a committed pedagogue, Marc has participated in workshops and meetings for the New York Music Theory and Ear Training Pedagogy group and the Columbia Center for Teaching and Learning. He will teach a course of his own design, “Beyond Boundaries: Radical Black Experimental Music,” as part of the Columbia Graduate School of Arts and Science’s Teaching Scholars program in Spring 2019. “Subjective (Re)positioning in Musical Improvisation: Analyzing the Work of Five Female Improvisers.” Music Theory Online 23, no. 2 (2017). http://mtosmt.org/issues/mto.17.23.2/mto.17.23.2.hannaford.html. Review of Negotiated Moments: Improvisation, Sound, and Subjectivity, edited by Gillian Siddall and Ellen Waterman (Durham: Duke University Press, 2016), Women & Music: A Journal of Gender and Culture 21 (2017): 202–8. “Marc Hannaford: Improvisation Across Contexts and Domains,” Loud Mouth [an online journal of Australian music] (June 4, 2017). http://musictrust.com.au/loudmouth/inside-the-musician-marc-hannafordimprovisation- across-contexts-and-domains/. “The Challenge of Comparing Improvisation Across Domains,” American Music Review, Vol. XLV, no. 2 (Spring 2016) (co-authored with Andrew Goldman). http://www.brooklyn.cuny.edu/web/academics/centers/hitchcock/publications/amr/v 45-2/goldman-hannaford.php. “In Conversation: Elliott Dalgleish and Marc Hannaford,” Extempore [a printed journal of Australian music] 3 (2009): 32–47. “Fugitive Theory in Chicago and Beyond: Muhal Richard Abrams, Joseph Schillinger, and Traditions of ‘Antidisciplinary In(ter)vention,’” Annual meeting of the Society for American Music, New Orleans, March 2019. “‘I Have Eight Million Heroes’: A Critical Examination of Influence and its Role in Jazz Documentation,” Documenting Jazz Conference, Dublin Institute of Technology and Conservatory of Music and Drama, Dublin, Ireland, January 2019. “Affordances and Free Improvisation: An Analytical Framework,” Annual meeting of the Society for Music Theory, San Antonio, November 2018. “Fugitive Theory in Chicago: Muhal Richard Abrams’ Engagement with the Writings of Joseph Schillinger,” New England Conference for Music Theorists, Brandeis University, April 2018. “Affordances and Musical Improvisation: An Analytical Framework,” McGill Graduate Students’ Symposium, McGill University, March 2018. “‘You Do You’: Composition, Affordances, and Improvisation in the Music of Muhal Richard Abrams,” Conference, Rhythm Changes: Re/Sounding Jazz, Amsterdam, Netherlands, August 2017. “Trust and Subjective (Re)positioning: Analyzing the Work of Five Female Improvisers,” Conference, Rhythm Changes: Jazz Utopia, Birmingham, England, April 2016. “Improvisation as Political Power,” Conference, Crisis and Critique, The Institute for Comparative Literature, Columbia University, April 2015. “Planning to Improvise and Negotiating Polyrhythm,” Conference, The Improvising Brain II: Multiple Perspectives, Atlanta State University, March 2015. “Black Saturday, Planning, and Improvisation,” Inter-disciplinary festival and symposium, Improvising Across Borders, The Center for Improvised Arts, Performance and Research, Prague, Czech Republic, June 2014. “Processes to Assimilate Pulse Divisions of Five and Seven,” Annual meeting of The International Rhythm Studies Association, Svalöw, Sweden, July 2012. “Developing Elliott Carter’s Rhythmic Language, as Used in 90+, for Use in Improvisation,” Annual meeting of The International Rhythm Studies Association, São Paulo, Brazil, July 2011. “Muhal Richard Abrams’ Engagement with the Writings of Joseph Schillinger,” Undergraduate Lecture Series, Music Department, University of California, San Diego, May 2019. “Beyond Category: Muhal Richard Abrams’s Creative Universes,” H. Wiley Hitchcock Institute for Studies in American Music Lecture Series, Brooklyn College, April 2018. “The Life and Music of Thelonious Monk,” Invited lecture, History of Jazz (Prof. Chris Washburne), Columbia University, October 2017. Invited panel discussion participant, “Music and Sound Studies: Intersections, Boundaries, and Opportunities,” co-organized by the Columbia University Music Department and Paris Sciences et Lettres, Columbia University, September 2017. Respondent to Andrew Goldman, “Improvisation as a Way of Knowing,” Columbia University Music Department Colloquium Series, September 2017. “Academic Research and Creative Practice,” Invited seminar presentation, Research Methods for Advanced Undergraduates (Prof. Geoff Hughes), Music Department, Victorian College of the Arts and Music, Melbourne, Australia, October 2016. Respondent to Stefan Lorenzetti, “‘Scritte nella mente’? Giovanni Gabrieli’s Keyboard Music and the Art of ‘Improvised Composition,’” Columbia University Music Department Colloquium Series, March 2015. “Improvisation and Elliott Carter’s Rhythmic Language,” Invited seminar presentation, Rhythm and Temporality (Prof. Ève Poudrier), Yale University, April 2014. Selected participant, Emerging Scholars Program, Guelph Jazz Festival and Colloquium, International Institute for Critical Studies in Improvisation, Guelph, Canada, September 2018. Member and discussion participant, Jazz Study Group, Center for Jazz Studies, Columbia University, 2018–present. Workshop participant, Music-Listener Intersubjectivity, led by Prof. Marion Guck, Annual meeting of the Society for Music Theory, Arlington, November 2017. Fundamentals of Music, Instructor, Columbia University, Fall 2018. Music Theory I–IV, Teaching Assistant, Duties included lecturing, running independent weekly lab sessions, and grading, Columbia University, Fall 2014–Spring 2016. Aural Skills I–IV, Instructor, Monash University, Australia, January 2010–July 2013. Beyond Boundaries: Radical Black Experimental Music, Instructor, Course of original design, selected for the Graduate School of Arts and Sciences Teaching Scholars program, Columbia University, Spring 2019. Masterpieces of Western Music, Instructor, Semester-long historical survey, Columbia University, Summer 2018. Masterpieces of Western Music, Teaching Assistant, Duties included teaching selected classes, Columbia University, Fall 2016 and Spring 2017. Music Theory IV (Prof. Ellie Hisama), Invited lecture on chromatic modulation, Columbia University, March 2017. Music Theory III (Prof. Anton Vishio), Invited lecture on neo-Riemannian theory, Department of Music, William Paterson University, March 2017. Jazz demonstrations for Masterpieces of Western Music, Guest Lecturer and Program Coordinator, Duties included coordinating approximately 60 performers to give live performances in 20 classes each semester and moderating each performance and the ensuing discussion, Columbia University, September 2016–September 2018. Supervisor, 4th-year undergraduate theses, Monash University, Melbourne, Australia, February 2011–August 2013. Supervisor, 4th-year undergraduate theses, Victorian College of the Arts, Melbourne, Australia, February 2011–August 2013. Instructor, individual undergraduate and graduate piano lessons, Monash University, Melbourne, Australia, February 2009–August 2013. Instructor, individual undergraduate and graduate piano lessons, Victorian College of the Arts, Melbourne, Australia, February 2009–August 2013. “Teaching a Music Theory Class in a Job Interview Setting,” Invited teaching demonstration, Professional development workshop on teaching music theory at a campus interview organized by Professors Zosha Di Castri and Ellie Hisama, Department of Music, Columbia University, December 2017. “Teaching Jazz Harmony in the Music Theory Classroom,” Presentation and panel discussion, Orientation Panel for Music Theory Teaching Assistants (organized by graduate student Benjamin Hansberry), Department of Music, Columbia University, November 2015. “Provocative Teaching and Social Media” (Parts 1–3), Center for Teaching and Learning, Columbia University, February–March 2018. “Syllabus from Scratch,” Center for Teaching and Learning, Columbia University, January 2018. Innovative Teaching Summer Institute [a three-day interdisciplinary teaching development program for selected participants], Center for Teaching and Learning, Columbia University, June 2017. Workshop in Inclusive Teaching, Center for Teaching and Learning, Columbia University, November 2016. Feminist & Queer Pedagogy Workshop, Institute for Research on Women, Gender, and Sexuality, Columbia University, April 2016. Workshop in Slow Teaching, Center for Teaching and Learning, Columbia University, February 2016. Editorial Board Member, Current Musicology [graduate-student journal], Department of Music, Columbia University, 2014–present. Graduate Assistant, For the Daughters of Harlem: Working in Sound, A multi-year project inviting girls and young women of color from Harlem high schools to engage with music, Organized by Professors Ellie Hisama, Zosha Di Castri, Miya Masaoka, and Lucie Vágnerová, Columbia University Music Department, April 2018. Assistant Treasurer (includes fundraising), Columbia Music Scholarship Conference, Columbia University, March 2017. Assistant Organizer for Colloquium Series, Columbia University Music Department, September 2015–May 2016. Website Manager, Improvisation Interest Group, Society for Music Theory, November 2014–November 2016. Graduate Assistant, Women, Music, Power Conference, Columbia University, December 2015. Treasurer (includes fundraising), Current Musicology 50th Anniversary Conference, March 2015. Mason Fellowship in Music (for special recognition of academic achievement), Graduate School of Arts and Sciences, Columba University, 2018–19. Faculty of Arts Dean’s Commendation for Sessional Teaching, Monash University, Melbourne, Australia, 2012. Dr. Philip Law Award for Outstanding Research, The University of Melbourne, Australia, 2011. Fulbright Fellowship Finalist, Melbourne, Australia, 2012 and 2010. Australian Postgraduate Award, The University of Melbourne, Melbourne, Australia, 2010. Marion Isabel Thomas Estate Award, Victoria College of the Arts and Music, Melbourne, Australia, 2010. Will Poskitt Prize for Excellence in Piano Performance, Victorian College of the Arts and Music, Melbourne, Australia, 2010. 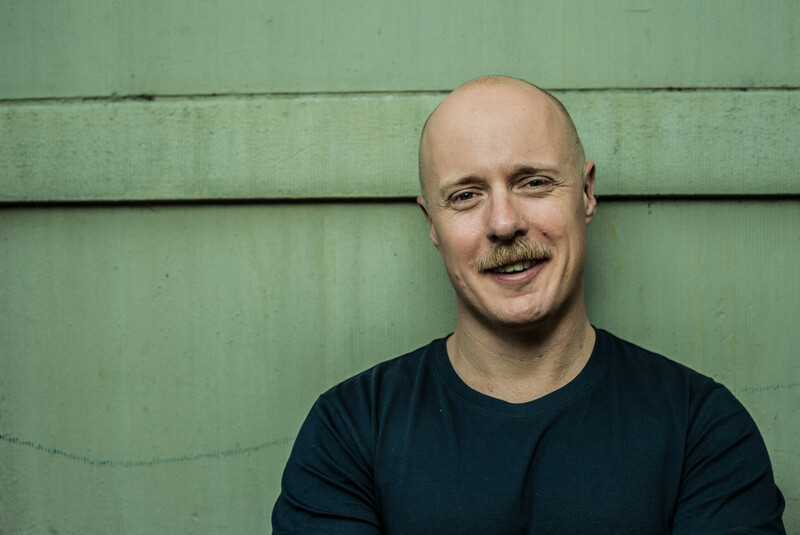 Arts Project Grant to support a 2018 national tour of Australia by the Marc Hannaford Trio, Australia Council for the Arts, 2017. “Best New Work” for Anda Two, Australian Performing Rights Association’s Arts Awards, 2013. Freedman Fellowship [for excellence in jazz performance], Music Council of Australia, 2013. “Most Original Release,” for Sarcophile, Australian Jazz “Bell” Awards, 2012. “Best Classic Jazz Album,” for Homage, Australian Jazz “Bell” Awards, 2010. National Jazz Piano Award: Runner-up, Wangaratta Festival of Jazz, Australia, 2006. Development Grant [for composition lessons from John Rodgers, Ken Edie, and Elliott Dalgleish], Australian Council for the Arts, 2006. Can You See With Two Sets of Eyes? Marc Hannaford, Marchon, 2014. The Unpossibility of Language, Hannaford/Tinkler/Veltheim, Marchon, 2013. Lost in the Stars (Music from Mary Lou Williams and Karlheinz Stockhausen), The Allan Browne Trio, Jazzhead, 2013. Sarcophile, The Marc Hannaford Trio, Marchon, 2012. Ordinary Madness (feat. Tim Berne), Marc Hannaford, Marchon, 2012. The Garden of Forking Paths, Marc Hannaford, Extreme Music, 2007. Tony Malaby Quartet (feat. William Parker), Arts for Art Concert Series, The Clemente Soto Vélez Cultural and Educational Center, New York, October 2018. Tony Malaby’s Voladadores, A. E. Randolph Presents Concert Series, Balboa, Brooklyn, July 2018. With Nicola Hein, Elias Stemeseder, Raf Vertessen (acoustic piano and modular electronics), Ibeam, Brooklyn, July 2018. With Thomas Heberer, Michael Vatcher, Nicola Hein (acoustic piano and modular electronics), Spectrum, Brooklyn, June 2018. Daniel Levine’s Knuckleball, Sound It Out Concert Series, Greenwich Music House, New York, March 2018. Tony Malaby Quartet, Cornelia Street Café, New York, February 2018. From Me to You and Back Again (acoustic piano with interactive sound installation), Squaring the Circle Concert Series, New York University, New York, January 2018. The Marc Hannaford Trio, The JazzLab, Melbourne, Australia, December 2017. Marc Hannaford Trio, Sound It Out Concert Series, Greenwich Music House, New York, November 2017. With Jen Shyu, Tony Malaby, Scott Tinkler, and Simon Barker, The Jazz Gallery, New York, July 2017. Tim Berne Sextet, Melbourne International Jazz Festival, Melbourne, Australia, June 2009. CR-INFO-DY…DEC…EXPM (for string quartet), Composed for the Uptown Goes Brooklyn music series, Spectrum, Brooklyn, 2018. Etudes for Piano, I–VI (may also be adapted for any instrumentation) [an ongoing series of rhythmically complex points of departure for improvisation], 2017–present. Imaginary Interactions I (for piano and electronics), Premiered at the Melbourne Recital Center, Melbourne, Australia, 2017. Fainter, Stronger (for large ensemble), Commissioned by the Monash Art Ensemble, Monash University, Melbourne, Australia, 2016.